The customer response to the recent outage by Telstra was swift and brutal. Another day and another outage for Australia’s number 1 service provider, and their customers had a lot to say about it. Telstra has suffered a string of outages this year. The most recent nationwide outage comes just 20 days after a previous outage affecting users accessibility to the network. But despite the difficulties in connecting to the network, customers came in droves commenting about the outage on social media. 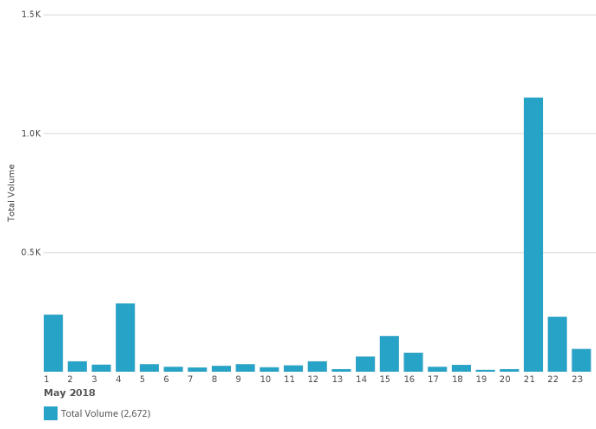 On the 21st of May, over 1000 people took to Twitter to express their outrage, more than four times the previous on May 1st. Safe to say, Telstra customers are calling out, and they’ve had enough. It comes as no surprise that people were feeling pretty negative about the situation leaving them unconnected to the world. With over 83% of people feeling angry about the outage, this might sound the alarm bells for Telstra. Where did the outage hit? The outage had everyone talking about it- journalists, business owners and people going about their everyday business without any service. Crimson Hexagon and social media analytics provides opportunities for brands to closely monitor your brand. Crimson Hexagon enables you to set up alerts on much more than just simple keywords, you can learn in real time about both the positive and negative events that are happening around your brand, as well as closely monitoring and averting any crisis.